This beautiful Pearl and Swarovski Beaded Bracelet features round pearls, faceted Swarovski beads, and a gold filled toggle clasp. Size is 6 3/4 inches. 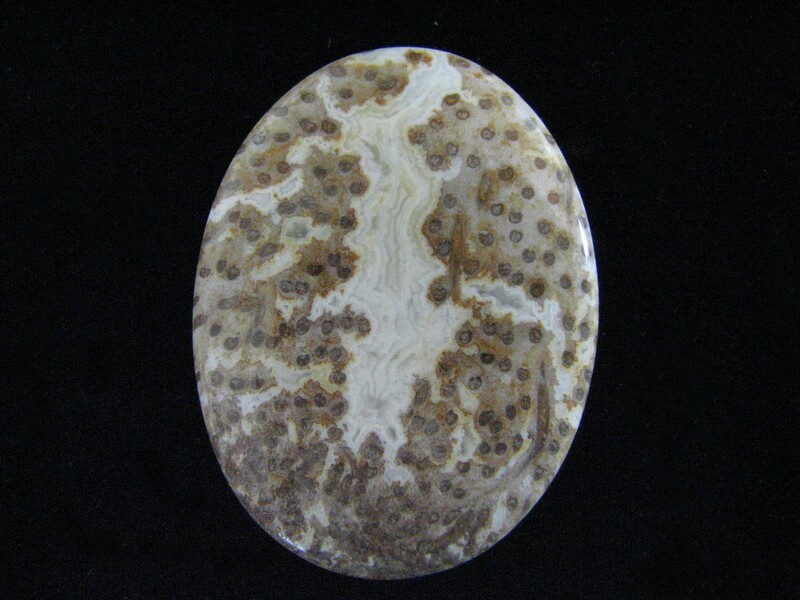 This is a solid polished Petrified Algae (stromatolitic) Lapidary Slab from Bristol. England. 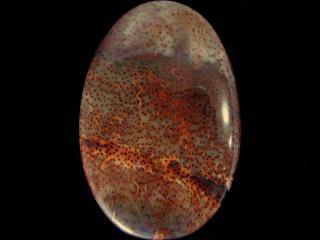 Its from the Cotham formation Triassic period. The landscape scene features trees and hedges growing along plowed fields. A unique quality display specimen. Measurements are 5.5x2x1/4 incheds. Photographed dry. This Petrified Coral Designer Cabochon was found in Burma. It would look nice wrapped in silver. Measurements are 6 x 26 x 47 mm. This large and beautiful Petrified Palm Wood Designer Cabochon was made for people who like large and bold jewelry. It’s from Texas as you would expect. Measurements are 5 x 55 x 83 mm. This Petrified Palm Wood Designer Cabochon was found in Texas. It would make a cute necklace. Measurements are 4 x 23 x 45 mm. 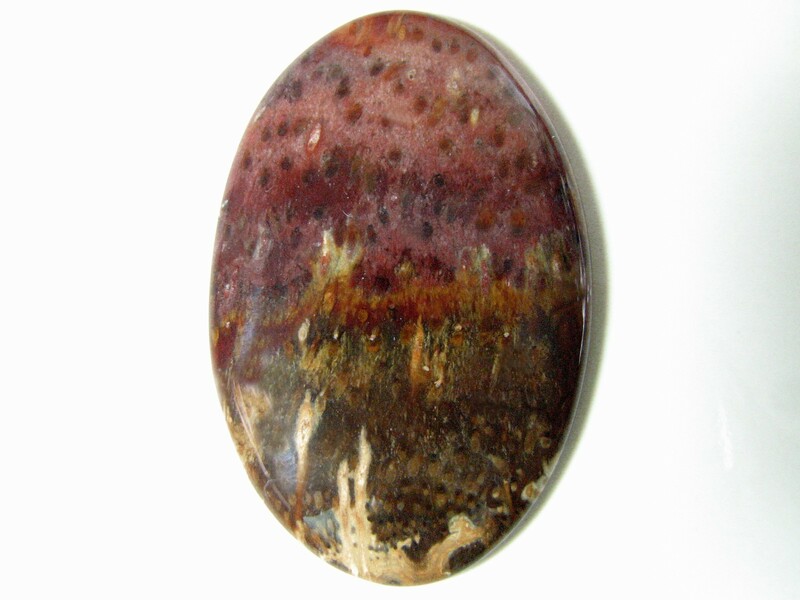 Beautifully colored with plum and olive undertones, this Petrified Palm Wood Designer Cabochon was found in Texas. Measurements are 5 x 30 x 46 mm. 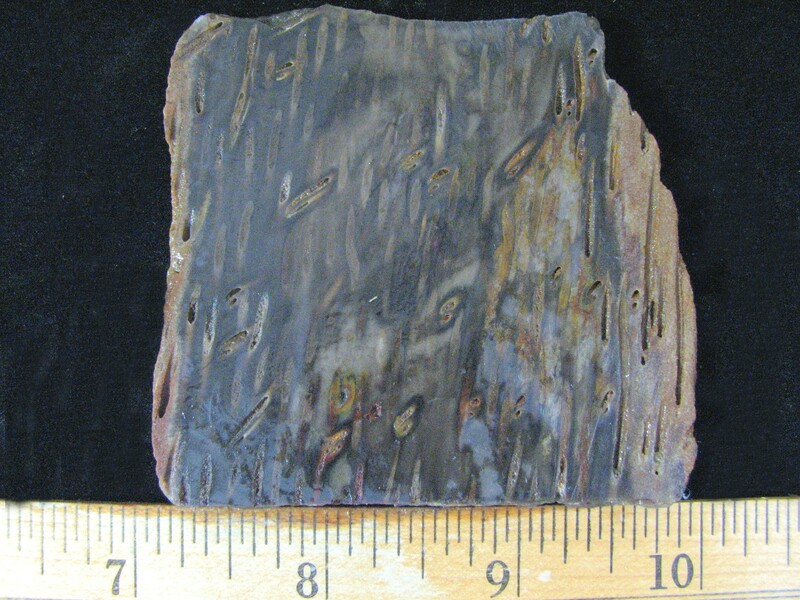 This rustic looking Petrified Palm Wood Lapidary Slab is from Burma. What’s different about this wood is random tube segments at cross angles to the normal tube direction. These create an interesting look in cabs. Measurements are 3/16 x 2.75 x 2.75 inches. Photographed wet. 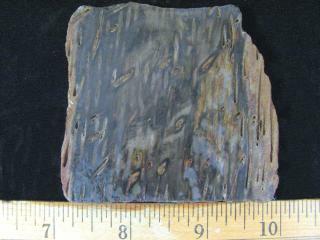 This quality Texas Petrified Palm Wood Lapidary Slab has been preformed for cabbing. It’s brown rods are nicely spaced and it features a soft grayish brown color. 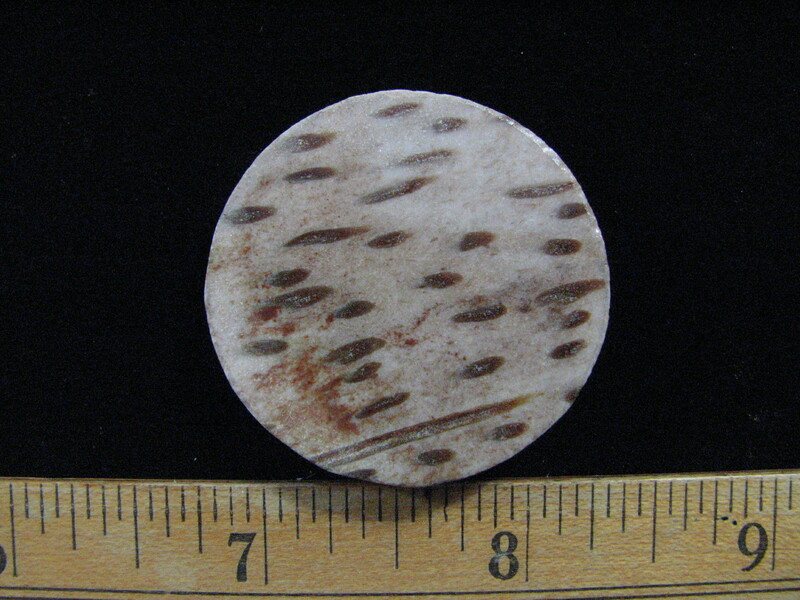 Measurements are 37×7 mm. Photographed wet. 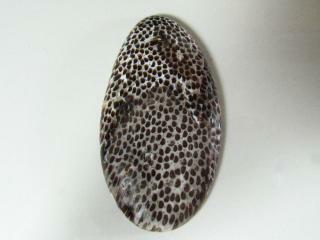 This porcelain like Petrified Palm Wood Lapidary Slab features white and pink tubes emerging from a deep brown matrix. 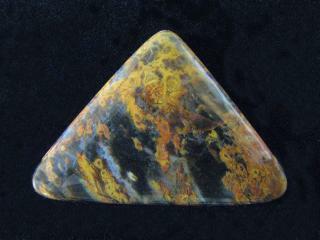 It’s a very unusual piece and will produce at least two very nice highly polished cabs. Measurements are 1/8x2x3 inches. Photographed wet. This Petrified Wood Designer Cabochon found in Texas is a pretty, pale cab that would make a classy necklace. Measurements are 5 x 29 x 38 mm. These are assorted Petrified Wood Designer Cabochons. The price is per cab. 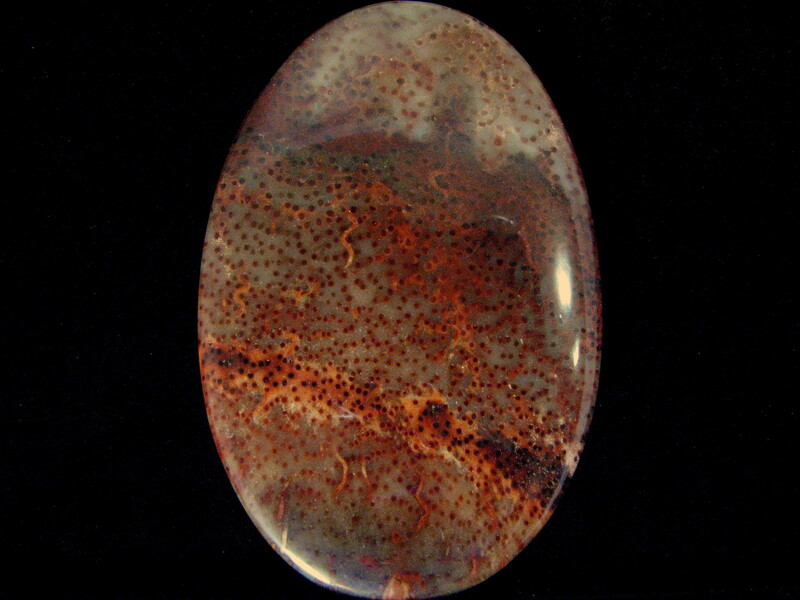 Please click “CONTACT US” and send an email if you need the exact dimensions or a more detailed description of the cabochon you like. 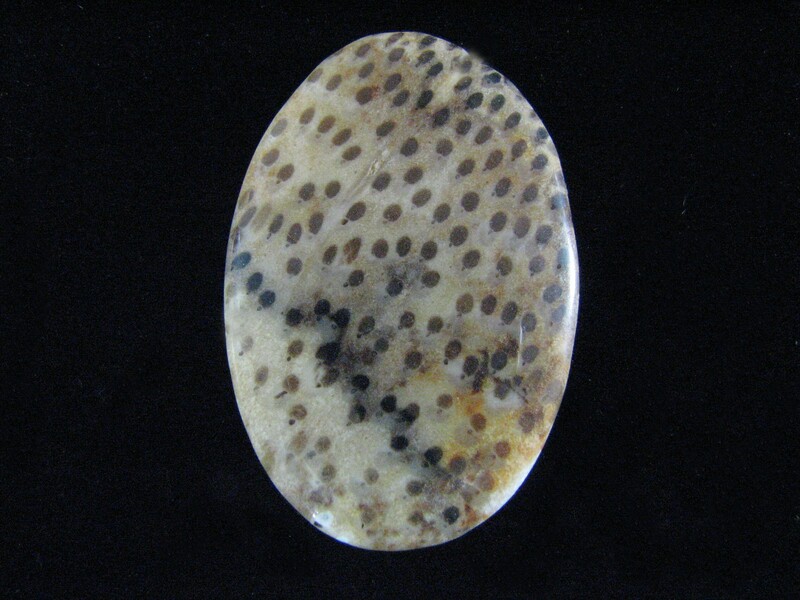 After completing your purchase, please email us the number of your cabochon and it will be shipped.